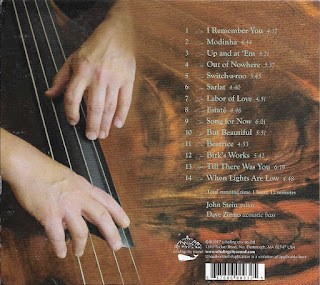 This Super Bowl Sunday edition of my Sunday Music Muse Day finds me skipping all the pre-game hype and enjoying the following tunes. 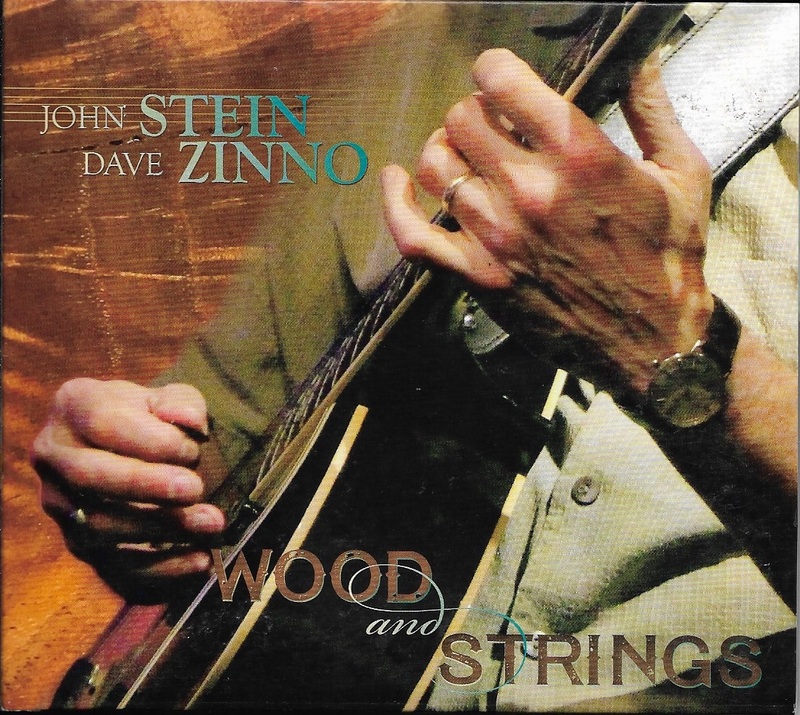 First up, is a follow up one last's week selection with John Stein and Dave Zinno Wood and Strings. 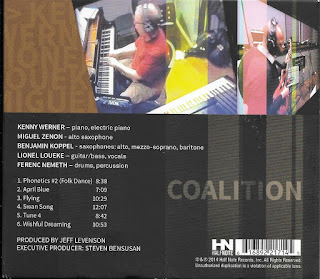 After enjoying my first intro to John Stein's music with his Color Tones CD, I picked up this one. Wood and Strings is mellow guitar and bass outing squarely in the tradition and feel of legendary performances of Jim Hall (guitarist) and Ron Carter (bassist) as compared to in the liner notes by John Thomas, Field Editor of Fretboard Journal, a high end, high quality magazine for string instrument players. That very great compliment and worth earned with this CD. 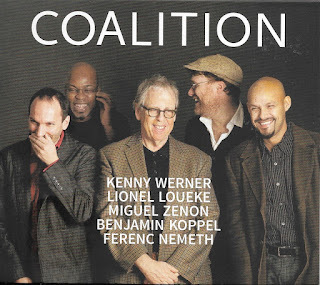 Next up is a CD titled Coalition with Kenny Werner pianist-composer (noted in online reviews as nominally the leader), Lionel Loueke, guitar, bass, and vocals, Miguel Zenon, alto saxophone, Benjamin Koppel, saxophones, ans Ferenc Nemeth, drums. 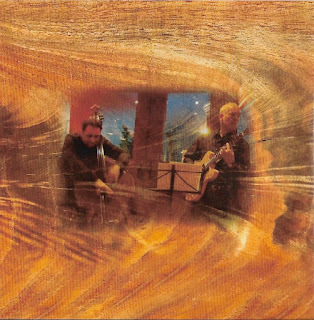 Online reviewers praise the music for its international flavor. 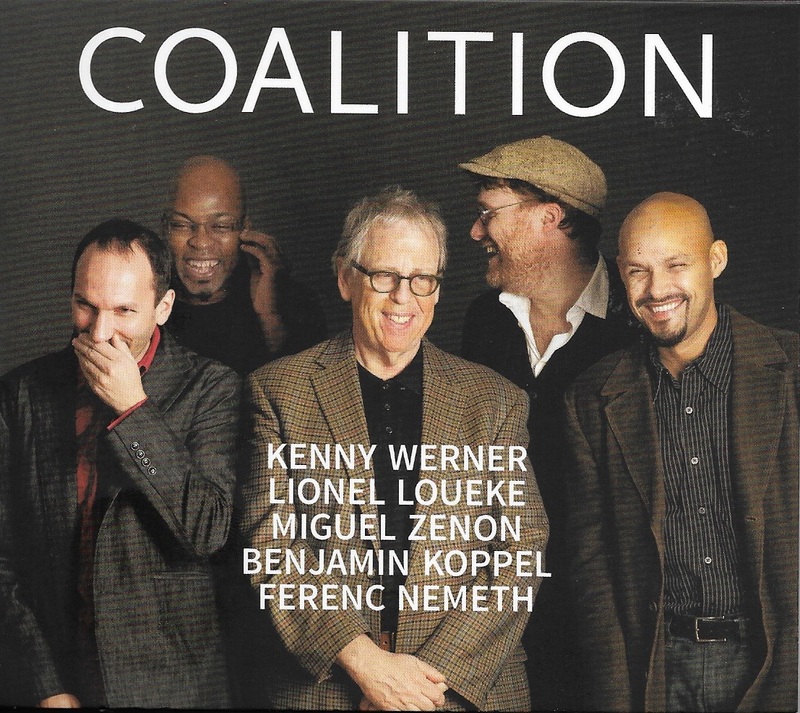 I picked this up due to guitarist Lionel Loueke, as he was the only musician on the project I knew, I've given it several listens and it doesn't quite jell for me, and I really can't put my finger on why not. The over all feel is too choppy in a way. 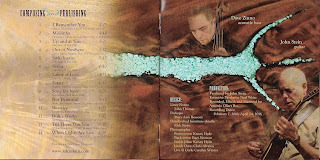 That's the best I can describe for now. But, I haven't given up on it totally. Some times to let music grow on you. So, as kickoff nears, lets hope for good game. no blow out by half-time. (Sorry, not picking a winner) I usually mute the half-game show, since they rarely have a good a jazz act (just kidding). Enjoy the game.